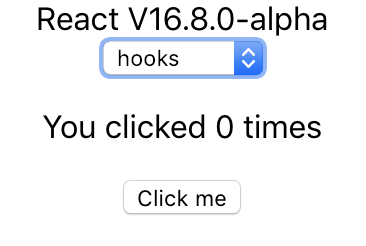 Take note that React Hooks are still in Alpha. React Hooks are available for functional component which are a "replacement" for react state in class component. Using useState() you can create an array, where the first item in the array is the state, and the second item is a function to set the state. Ultimately, with React Hooks, you are able to write even less codes and in a more functional approach.